Section 6702(d) of the Internal Revenue Code authorizes the Internal Revenue Service (IRS) to reduce the amount of the frivolous tax submission penalty assessed under section 6702(a) or (b) if the IRS determines that a reduction would promote compliance with and administration of the Federal tax laws. This revenue procedure describes the limited circumstances in which a person may be eligible for a one-time reduction of any unpaid section 6702 penalty liabilities. This revenue procedure also prescribes how a person may request a reduction and the eligibility requirements for reduction. Generally, if a person satisfies all eligibility criteria of section 4 of this revenue procedure, including filing all tax returns and paying all outstanding taxes, penalties (other than under section 6702) and related interest, the IRS will reduce all unpaid section 6702 penalties assessed against that person to $500. After experience with the application of this revenue procedure, the IRS and the Treasury Department plan to assess whether the revenue procedure is successfully promoting compliance with and administration of the Federal tax laws and may revise this revenue procedure as necessary to further those goals. Generally, if a person satisfies all eligibility criteria of section 4 of this revenue procedure, the IRS will reduce all section 6702 penalties assessed against that person to $500. If the person submitted $500 with the request for reduction, the IRS will abate any remaining unpaid amount of those penalty liabilities, including interest. If the person has submitted at least $250, but less than $500, with the request for reduction, the IRS will apply the amount submitted against the section 6702 penalty or penalties that the person seeks to reduce and will abate all but the difference between the payment submitted and $500 (i.e., the remaining unpaid amount of those penalty liabilities). If the person granted the reduction fails to pay the remaining balance of the $500 reduced penalty (plus interest as described above), the IRS may use any available remedy to collect the balance. The IRS will not refund any portion of the section 6702 penalty or penalties paid prior to the date the IRS received the request for reduction. In the case of a person who has entered into a full payment installment agreement, the section 6702 penalty or penalties will be reduced only upon completion of all payments required to satisfy all outstanding tax liabilities other than the section 6702 penalties that are the subject of the request for reduction. If the person defaults on the installment agreement, the section 6702 penalty or penalties will not be reduced. If a person fails to satisfy any of the eligibility criteria of section 4 of this revenue procedure, the IRS will deny the request for reduction. The IRS will apply any payment received with the request for reduction against unpaid section 6702 penalties before applying any remaining portion of the payment to any other outstanding tax liabilities of the person. A person may not designate the manner in which the IRS will apply the payment. The IRS will give a person written notice of whether the person’s request has been granted or denied. The IRS’s denial of a request for any reason will not be subject to an administrative appeal. 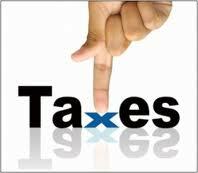 This revenue procedure is effective November 5, 2012, the date this revenue procedure was released to the public. 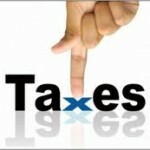 This entry was posted in Tax Penalties and tagged Business Tax Relief, Tax Penalty, Tax Penalty Reduction. Bookmark the permalink.